The Benefits of Selling Items in a Professionally Marketed Auction vs. Doing it On Your Own | Wilson Auction & Realty Co, Ltd.
No matter what you’re trying to sell, from land, to farm equipment to vehicles, it’s wise to explore the auction option. Auctions offer many unique benefits to those who wish to maintain control of the selling process. 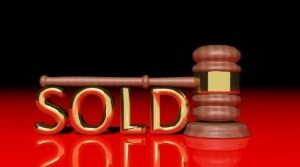 Auctions focus attention on your item alone, while in ordinary sales your item is one of many being offered. If you’re selling an expensive item such as land, you’ll be able to set the day of the auction while if you were to sell your item on your own it could remain in the “for sale process” for months or even years to come. Auctions help create a sense of urgency, which is essential in the buying and selling process. At an auction, you’ll know when the item will be sold while when selling on your own, you’ll have to rely heavily on multiple listing services and advertising. While at auctions, your items are non-refundable where as if you were to arrange selling an item on your own, the buyer can back out easily or stop communicating for unknown reasons. To learn more about the benefits of selling your items in a professionally marketed auction, please contact the experts at Wilson Auction & Realty Company today.